The huge volumes of data that enterprises deal with needs to filtered, in order to obtain prolific information. This is a critical process and it requires both expertise and experience; an individual, who is unfamiliar with the technicalities of this task, cannot accomplish it. This is the reason why enterprises hire experts for accomplishing the task of data mining. 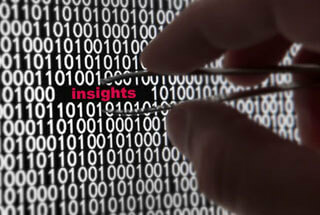 Professionals can efficiently sieve through huge volumes of data and can extract valuable information. They have a knack on the requirements of this process and they can perform all the associated tasks without any miscue. In spite of the fact that this back office operation holds quite a lot of importance, setting up an in-house process for it isn't advisable. In today's competitive landscape businesses need to concentrate more on core processes instead of investing time in accomplishing tasks like data mining. For this back office operation, it is best to avail outsourcing services. The businesses that cater to the requirement of outsourced data mining services are capable of dealing with even the minutest technicalities of this process. So, you can stay assured that outsourcing data mining process will be propitious for your organization. By outsourcing this business process, you can concentrate on your business's core competency and can boost the overall productivity of your organization.